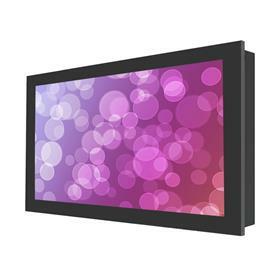 In-wall and on-wall flat screen kiosks are ideal for digital signage as they maintain a sleek design that compliments many commercial and business settings. Wall mounted kiosks and on-wall kiosks are also great space saving solutions. Kiosk enclosures are made to work with a wide range of monitors and flat screens and can be customized to your specific situation, whether that be as a stand-alone digital sign in a high traffic area or a compliment to a boardroom or office environment. See additional information on the Peerless KIL740 Black Indoor Landscape In-Wall Kiosk Enclosure for 40" Screens below. Certified mounting experts are here to help. Call 1-800-807-1477. See additional information on the Peerless KIL740-S Silver Indoor Landscape In-Wall Kiosk Enclosure for 40" Screens below. Certified mounting experts are here to help. Call 1-800-807-1477. See additional information on the Peerless KIL742 Black Indoor Landscape In-Wall Kiosk Enclosure for 42" Screens below. Certified mounting experts are here to help. Call 1-800-807-1477. See additional information on the Peerless KIL742-S Silver Indoor Landscape In-Wall Kiosk Enclosure for 42" Screens below. Certified mounting experts are here to help. Call 1-800-807-1477. See additional information on the Peerless KIP742-S Silver Indoor Portrait In-Wall Kiosk Enclosure for 42" Screens below. Certified mounting experts are here to help. Call 1-800-807-1477. See additional information on the Peerless KIP742 Black Indoor Portrait In-Wall Kiosk Enclosure for 42" Screens below. Certified mounting experts are here to help. Call 1-800-807-1477. See additional information on the Peerless KIP740-S Silver Indoor Portrait In-Wall Kiosk Enclosure for 40" Screens below. Certified mounting experts are here to help. Call 1-800-807-1477. See additional information on the Peerless KIP740 Black Indoor Portrait In-Wall Kiosk Enclosure for 40" Screens below. Certified mounting experts are here to help. Call 1-800-807-1477. See additional information on the Peerless KIP743 Black Indoor Portrait In-Wall Kiosk Enclosure for 43" Screens below. Certified mounting experts are here to help. Call 1-800-807-1477. See additional information on the Peerless KIP743-S Silver Indoor Portrait In-Wall Kiosk Enclosure for 43" Screens below. Certified mounting experts are here to help. Call 1-800-807-1477. See additional information on the Peerless KIL743 Black Indoor Landscape In-Wall Kiosk Enclosure for 43" Screens below. Certified mounting experts are here to help. Call 1-800-807-1477. See additional information on the Peerless KIL743-S Silver Indoor Landscape In-Wall Kiosk Enclosure for 43" Screens below. Certified mounting experts are here to help. Call 1-800-807-1477. 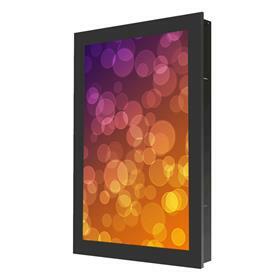 More information on the Chief Impact On-Wall Kiosk, Portrait, 46 inch, Black, LW46UBP made by Chief is below. More information on the Chief Impact On-Wall Kiosk, Portrait, 47 inch, Black, LW47UBP made by Chief is below. 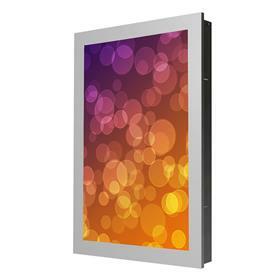 More information on the Chief Impact On-Wall Kiosk, Portrait, 48 inch, Black, LW48UBP made by Chief is below. More information on the Chief Impact On-Wall Kiosk, Portrait, 46 inch, White, LW46UWP made by Chief is below. More information on the Chief Impact On-Wall Kiosk, Portrait, 47 inch, White, LW47UWP made by Chief is below. 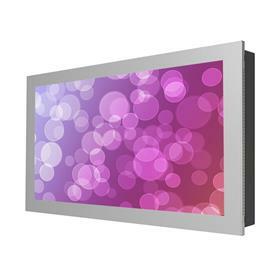 More information on the Chief Impact On-Wall Kiosk, Portrait, 48 inch, White, LW48UWP made by Chief is below. 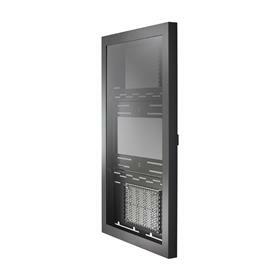 See additional information on the Peerless KIL746 Black Indoor Landscape In-Wall Kiosk Enclosure for 46" Screens below. Certified mounting experts are here to help. Call 1-800-807-1477. 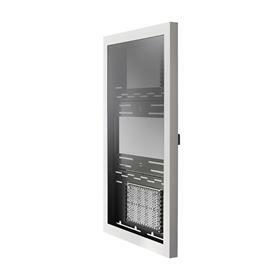 See additional information on the Peerless KIL746-S Silver Indoor Landscape In-Wall Kiosk Enclosure for 46" Screens below. Certified mounting experts are here to help. Call 1-800-807-1477. See additional information on the Peerless KIL747 Black Indoor Landscape In-Wall Kiosk Enclosure for 47" Screens below. Certified mounting experts are here to help. Call 1-800-807-1477. See additional information on the Peerless KIL747-S Silver Indoor Landscape In-Wall Kiosk Enclosure for 47" Screens below. Certified mounting experts are here to help. Call 1-800-807-1477. See additional information on the Peerless KIP747-S Silver Indoor Portrait In-Wall Kiosk Enclosure for 47" Screens below. Certified mounting experts are here to help. Call 1-800-807-1477. See additional information on the Peerless KIP747 Black Indoor Portrait In-Wall Kiosk Enclosure for 47" Screens below. Certified mounting experts are here to help. Call 1-800-807-1477. See additional information on the Peerless KIP746-S Silver Indoor Portrait In-Wall Kiosk Enclosure for 46" Screens below. Certified mounting experts are here to help. Call 1-800-807-1477. See additional information on the Peerless KIP746 Black Indoor Portrait In-Wall Kiosk Enclosure for 46" Screens below. Certified mounting experts are here to help. Call 1-800-807-1477. See additional information on the Peerless KIL748 Black Indoor Landscape In-Wall Kiosk Enclosure for 48" Screens below. Certified mounting experts are here to help. Call 1-800-807-1477. See additional information on the Peerless KIL748-S Silver Indoor Landscape In-Wall Kiosk Enclosure for 48" Screens below. Certified mounting experts are here to help. Call 1-800-807-1477. See additional information on the Peerless KIP748 Black Indoor Portrait In-Wall Kiosk Enclosure for 48" Screens below. Certified mounting experts are here to help. Call 1-800-807-1477. See additional information on the Peerless KIP748-S Silver Indoor Portrait In-Wall Kiosk Enclosure for 48" Screens below. Certified mounting experts are here to help. Call 1-800-807-1477.